1. The strikers that everyone keeps referring to as NutriAsia employees are NOT NUTRIASIA EMPLOYEES. Not one of them is. They are regular and permanent employees of BMirk Group (“BMirk”). BMirk has been certified and confirmed by the Department of Labor and Employment (DOLE) as a legitimate toll packer / service provider, and with over 10,000 employees, counts several of the largest firms in the country as its clients. The DOLE has expressly confirmed and declared that the strikers have a legitimate employer-employee relationship with BMirk, and not with NutriAsia. 2. The strikers’ repeated clamor for regularization is baseless, as they are ALREADY REGULAR (not casual) AND PERMANENT (not “endo”) EMPLOYEES of BMirk. They receive full legally-mandated pay and benefits and enjoy security of tenure. Simply put, there is clearly no “endo” being practiced, not by NutriAsia, nor by BMirk. 3. The Philippine Labor Code does not prohibit legitimate contractualization as it recognizes that each organization has its own capabilities and limitations. 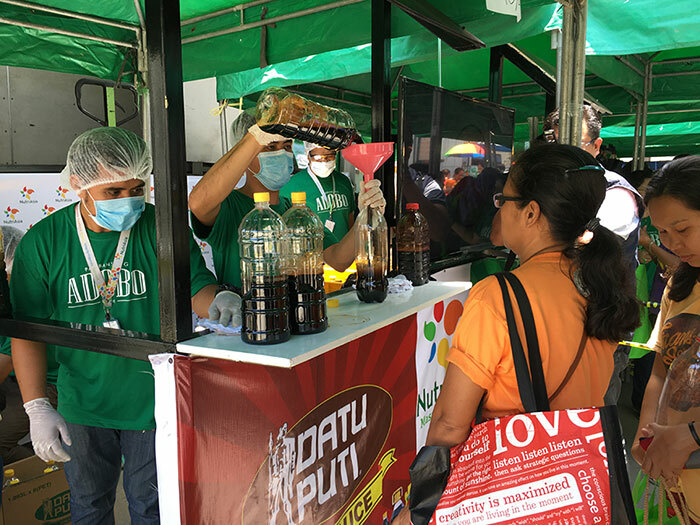 As a company, NutriAsia’s business involves formulation development, new product creation, and the manufacture of products in bulk form. We accept that there are better qualified companies, with the necessary expertise, when it comes to packaging and packing activities. This is the role of BMirk and its employees in our Marilao plant. In performing its role as a legitimate toll packer/provider, BMirk provides and owns the machines and equipment necessary to complete its engagement. There is confusion though among some people about what qualifies as a legitimate contracting arrangement (such as toll packing) versus the unlawful practice of “endo” under DOLE rules. Here is a table comparing the two for better understanding. 4. The claim of the strikers that the PHP 380 daily wage they receive is unjust is unfounded, as THE LEGAL MINIMUM WAGE during the relevant period and where our plant is located in Bulacan (and indeed in the rest of Region III) IS IN FACT PHP 380 PER DAY. BMirk complies with legallymandated pay rules. 5. The claim that working conditions in the NutriAsia plant are poor is false, as the plant has been visited regularly by Philippine and international inspectors and by DOLE representatives, who have all consistently certified that our plant MEETS AND EXCEEDS THE STANDARDS FOR WORKPLACE HEALTH AND SAFETY. 6. The strikers MISREPRESENTED THEMSELVES AS NUTRIASIA EMPLOYEES (when in fact they have also confusingly acknowledged that they are employees of BMirk). They have illegally formed a union with “NutriAsia” in the fraudulent union’s name. This is an act of falsification. 7. Beginning the 2nd of June 2018, the strikers committed the prohibited act of locking the gates of our plant and barricading the road leading into and out of the plant, preventing more than a thousand non-striking people from gainful employment for nearly two months. While NutriAsia respects the rights of individuals to free speech, to organize, and to peaceful assembly, it is also of utmost importance to the company that such rights be exercised while maintaining peace and order, and protecting the livelihood and safety of its employees. NutriAsia successfully secured court orders for the barricade and blockades to be lifted so that plant operations may continue and the non-striking workers may resume work, but this was ignored by the strikers. The claim of the strikers, numbering about two hundred or so, that they were simply trying to look out for their own welfare, conflicts with the INJURY AND LOSSES THAT THEY HAVE INFLICTED ON THOUSANDS OF OTHER PEOPLE employed by an entire web of industries that have been affected by their prohibited activities. 8. NutriAsia, in support to BMirk, had patiently and relentlessly tried to pursue a peaceful resolution to the dispute by attending more than a dozen mediation meetings organized by the DOLE at the regional level. Despite the strikers’ claimed desire to also achieve a peaceful resolution, THEY WERE ABSENT in half of the scheduled mediation meetings. 9. NutriAsia and BMirk again tried to pursue a peaceful resolution via a series of mediation meetings organized by the DOLE at the national level, and accepted the settlement proposal of the strikers, only for the latter to INEXPLICABLY REJECT THEIR OWN PROPOSAL the following day. 10. On June 14th and July 30th, the strikers and sympathizers triggered a violent physical confrontation with stones, rocks, and wooden clubs outside our plant that led to injuries both to themselves and to law enforcers and security personnel. There are videos showing how the confrontations exactly started and how THE VIOLENCE WAS IN FACT INITIATED BY THE STRIKERS AND THEIR SUPPORTERS. These incidents were clearly not dispersal activities instigated by NutriAsia as repeatedly and falsely reported. 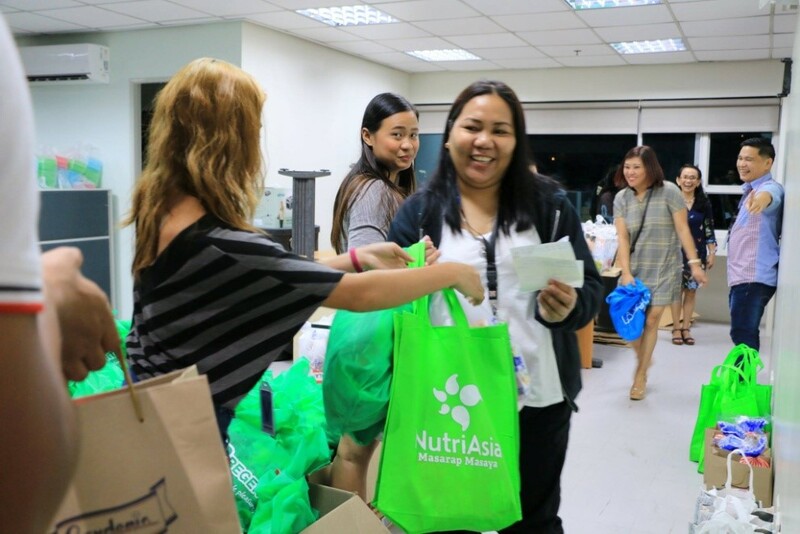 NutriAsia has been an icon of a well-loved, steadfast, and responsible company for almost three decades. We have been a major part of every milestone and celebration, big or small, of Filipino homes, being a main ingredient of favorite dishes happily served on these occasions. That is our simple yet noble mission and commitment, and we take that to heart. This can only be done by a workforce whose values of malasakit, excellence, respect, integrity, ingenuity, and teamwork come into play every single day. This is our culture, this is our competitive advantage, and we will safeguard the very people who make Masarap, Masaya come to life every day in NutriAsia. We are sincerely grateful to our loyal customers, partners, suppliers, and supporters who, amidst the ongoing labor situation, stood by our side and believed in the truth, as we work towards a definitive and peaceful resolution. Lastly, NutriAsia could not reiterate enough its commitment to continuously comply with labor laws and practices, which it has done all these years.